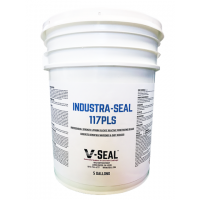 V-SEAL is among the world’s leading suppliers of reactive penetrating sealers for projects such as LaGuardia Airport, Honda, NASA and the US Federal Reserve Bank. Leading products for commercial and residential projects listed below are available for online purchase. Professional grade products and specialty products that are beyond the scope of this website are available only upon consultation with an experienced technical advisor. 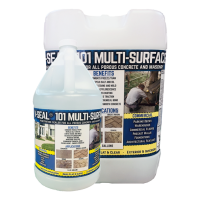 Penetrating sealers soak down into the substrate, then react chemically to form a permanent bond with the substrate. This permanent bond means that they will not wear away until the substrate they bond to wears away, typically soaking down between 1/8" and 1/4". 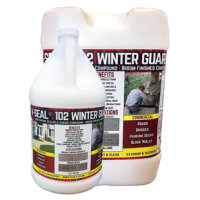 When applied on good concrete or stone, penetrating sealers can often last over 20 years. Functionally they are the best for blocking moisture from both a positive and negative direction. 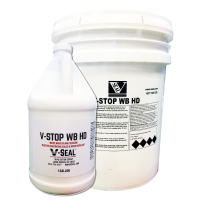 Since moisture is the main damaging agent of concrete through freeze thaw cycles and salt penetration (alkali silica reactions), blocking moisture is effectively increasing substrate protection from physical damage. 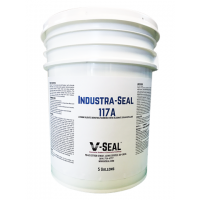 Penetrating sealers typically will not give a noticeable appearance to the substrate, drying flat and clear, without color enhancement or gloss. 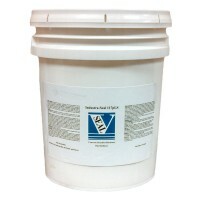 Some penetrating sealers (silicates) may be burnished to achieve a low sheen on smooth, machine troweled concrete. 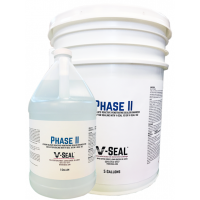 For more information on penetrating sealers see: Penetrating Sealer Chemistry.